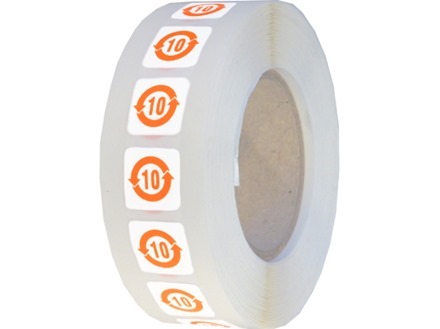 Items per quantity: Roll of 1000 labels. 10 year China RoHS symbol label. Comply with the Administrative measure on the control of pollution caused by electronic information products for goods sold in the Chinese market. 5 year friendly environmental user period. Supplied in rolls of 1000 labels. Environmental labels. 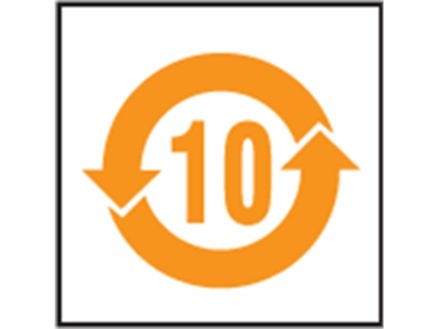 10 year friendly environmental user period China RoHS symbol label. Supplied in rolls of 1000 labels. ROH2010 Size 15mm x 15mm. Material self adhesive polypropylenel, laminated. ROH2010A Size 25mm x 25mm. Material self adhesive polypropylene, laminated.